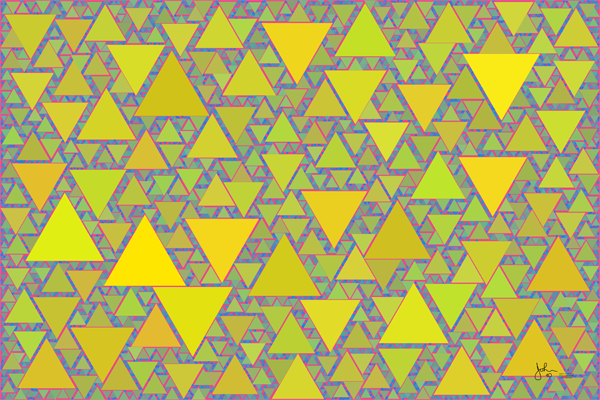 Here we have a fractal pattern of equilateral triangles. The color is graded by size, with the largest triangles a yellow-gold color, phasing through green tones for the middle-sized ones, and finally to blue for the smallest. This makes the busy "boundary" regions between large triangles stand out. The background color, for the sparse region with no triangles, is red. No two triangles are the same size.